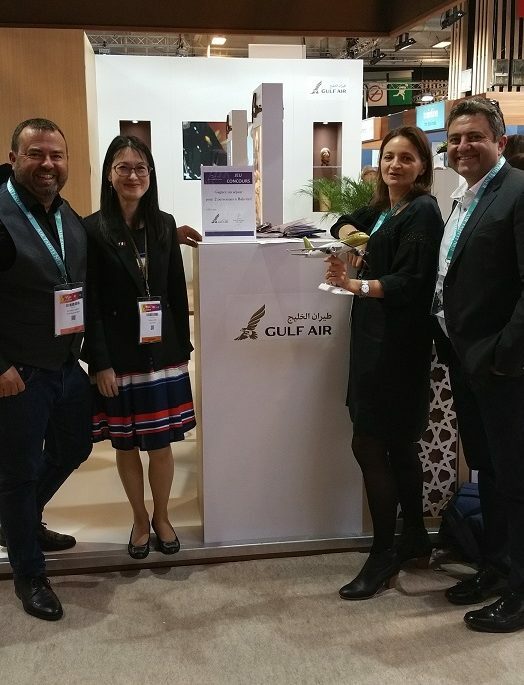 Gulf Air, the national carrier of the Kingdom of Bahrain, recently participated in the International French Travel Market (IFTM) Top Resa which took place in Paris between 26 and 29 September 2018. The airline was featured on the Kingdom of Bahrain pavilion and members of Gulf Air’s Paris office represented the airline during the show. Bahrain Tourism & Exhibitions Authority and Gulf Air promoted the Kingdom of Bahrain as a tourist destination to the French market. Gulf Air also highlighted its new expansion plans, new brand, new developments in 2018 and future plans for 2019.